St. George’s University invites applications for the position of Dean/Chief Academic Officer of the School of Arts & Sciences. The successful applicant will assume the post July 1, 2018. The Dean is responsible for providing the vision and leadership required to fulfill the mission of the School and to achieve its strategic goals. The Dean should be an inspiring leader, with an entrepreneurial spirit, who fosters close relationships with the faculty, alumni, and community leaders. We seek individuals with outstanding scholarly and professional careers, who have demonstrated potential for academic and administrative leadership and present a salient vision of unified excellence across the School of Arts & Sciences. 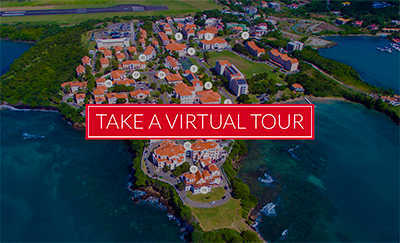 Located on the beautiful island of Grenada in the West Indies founded in 1976. Since then it has evolved into a top center of international education drawing students and faculty from 140 countries. The University comprises the Schools of Medicine, Veterinary Medicine, Arts and Sciences and a Graduate Studies program. The University programs are accredited and approved by many governing authorities, and SGU is affiliated with educational institutions worldwide, including in the United States, the United Kingdom, Canada, Australia, and Ireland. The Dean of the School of Arts & Sciences must have vision and leadership to sustain and enhance excellence in all parts of the School’s mission. The Dean reports to the Provost and has responsibility for all administration and management of the School, its faculty, and its resources and will be assisted by the Department chairs in the administration of the school. The ideal candidate should have a proven record of academic and administrative accomplishment, excellence in leadership, experience as dean or department chair, responsible for faculty evaluations, and the ability to work collaboratively with a variety of constituencies within the School of Arts & Sciences, across the University, and in the community. Salary is commensurate with background and experience. Application materials will be reviewed upon receipt and will be accepted until the position is filled. However, formal consideration of applications will begin January 15th, 2018. Applicants are urged to send their materials prior to that date. Please address inquiries, nominations and applications to Provost@sgu.edu with the subject heading SAS DEAN SEARCH. Employment will require a background check. St. George’s University is committed to diversity in hiring. St. George’s University is an equal opportunity, affirmative action employer.